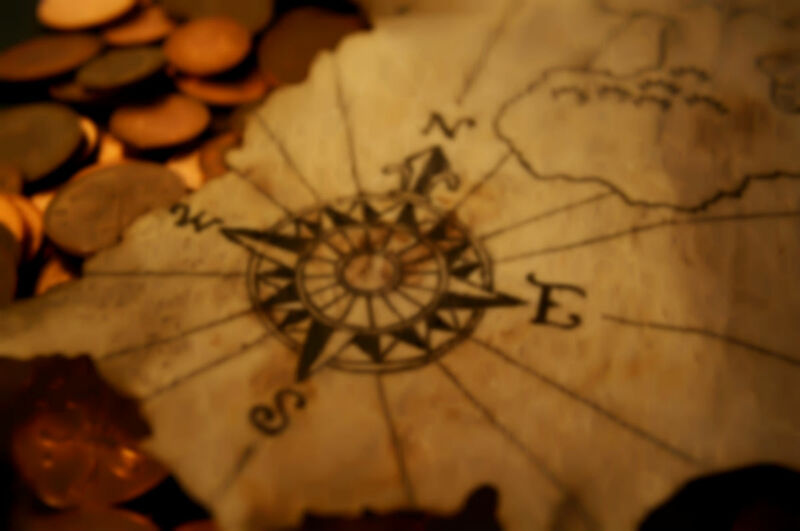 Treasure hunters must use clues to help them search for the next clue. This type of clue does not require much working out - it mainly involves recognition or following instructions. The location of the next clue is shown by taking a close-up photo of its location. Use Google Maps to mark the location of the next clue. The next clue is on a mobile phone that must be found by calling the phone's number. A sound or piece of music leads Treasure Hunters to the next clue. A product tagline must be recognised to lead to the next clue e.g. "because you're worth it" leads to a L'Oréal product. A treasure map leads the treasure hunters to their next clue. A clue hints the location of the next clue, for example a clue "4o C" would lead to a fridge. Write a clue in steam or misted windows.